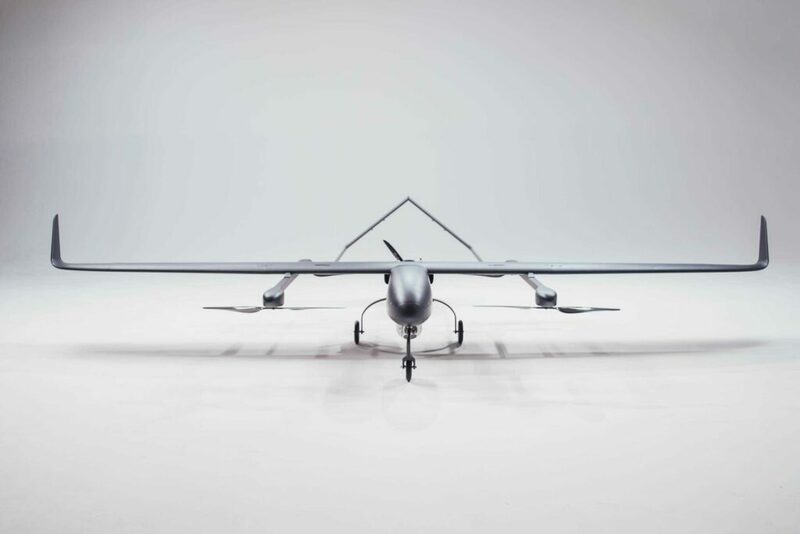 UKRSPECSystems has announced that the company has developed an upgrade module that converts its PD-1 fixed-wing drone to a VTOL (vertical take-off and landing) aircraft. The new module is being presented at the UMEX 2018 trade show in Abu Dhabi. The modular design of the PD-1 UAV (unmanned aerial vehicle) allows the VTOL upgrade to be installed in the field without any special modifications and without needing to send the aircraft back to the factory. The VTOL module can also be easily removed from the drone, which can then be operated as a standard fixed-wing drone with runway take-off and landing or with a pneumatic catapult launcher and parachute recovery. The PD-1 with the VTOL module installed has a wing-span of 5 meters and can stay in the air for 10 hours with a 7 kg payload on-board. Take-off and landing are controlled by a fully autonomous autopilot. The aircraft is fully compatible with all of UKRSPECSystems’ EO/IR payloads and also supports a wide range of third-party equipment, such as SAR, LIDAR, and radio repeaters.